If you've ever been to a convenience store chances are you've seen Scripto Electra electronic lighters sitting in a box near the register. These are common butane lighters that use electricity to generate the flame rather than a piece of flint. Even though these are a little more high-tech than other lighters, the process of using them is practically the same as any other. So if you need to light a fire or a cigarette and you have a Scripto lighter, you'll be pleased to know that it will only take a second or two of your time to use. Electronic lighters can be easy to use. Take the Scripto electronic lighter in hand and make sure that there is enough space between the top of the device and your fingers to prevent getting burned. Use the top of your thumb (or the finger on your other hand) to press the safety lock in. This lock is located directly under the top ignitor. 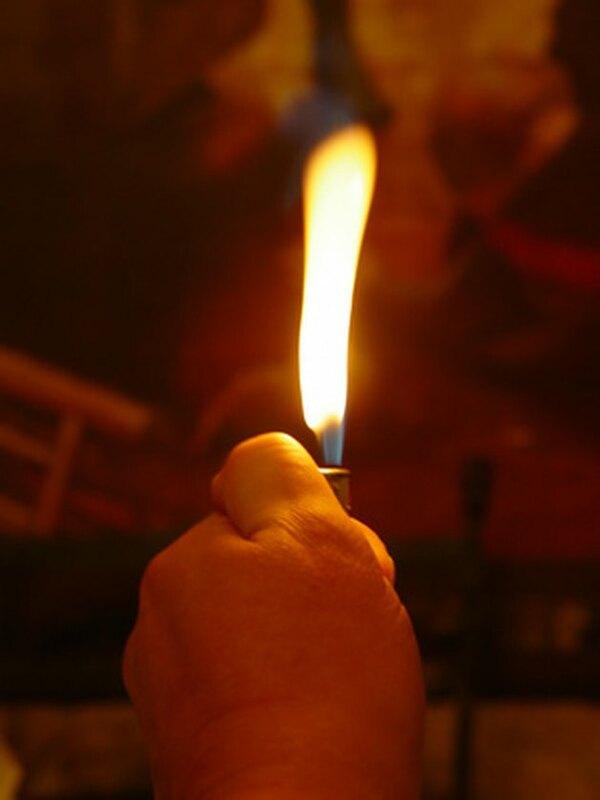 Use your thumb or finger to press the ignitor down and produce a flame. You will need to do this while simultaneously holding the safety lock in.